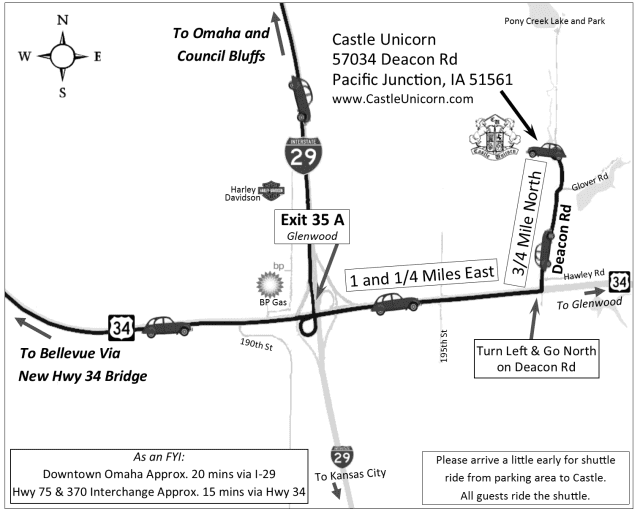 and about 20 minutes from dowtown Omaha and 15 minutes from Bellevue. If you are coming to a wedding please see the maps below. please call us at 712-527-5930 to make an appointment.